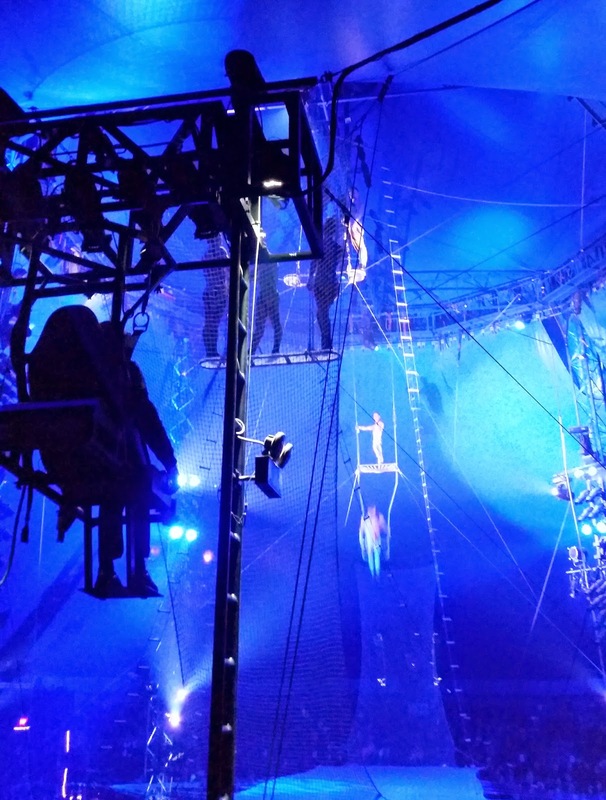 Do you like watching circus? I remember my colorful childhood watching this amazing group of talented people as well as amazing animals. What a great show! 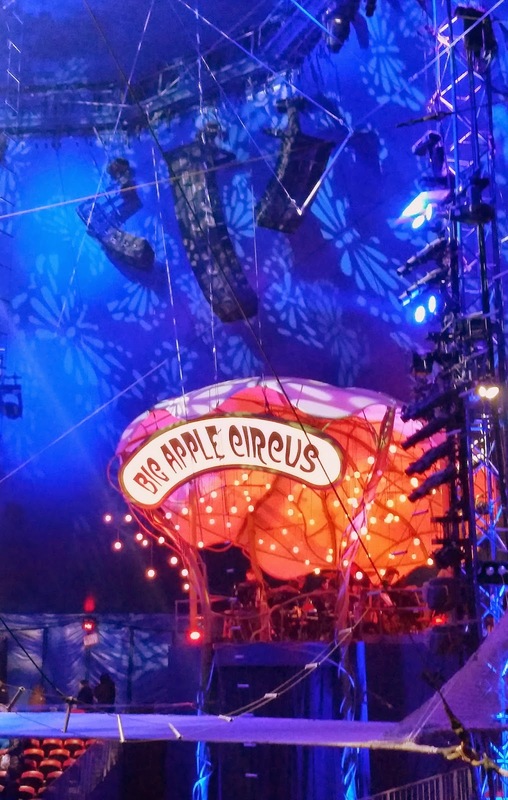 Last week, we gotta a chance to watch the Big Apple Circus. It was the last week of their performance in NYC, before heading to New Jersey and some other cities. 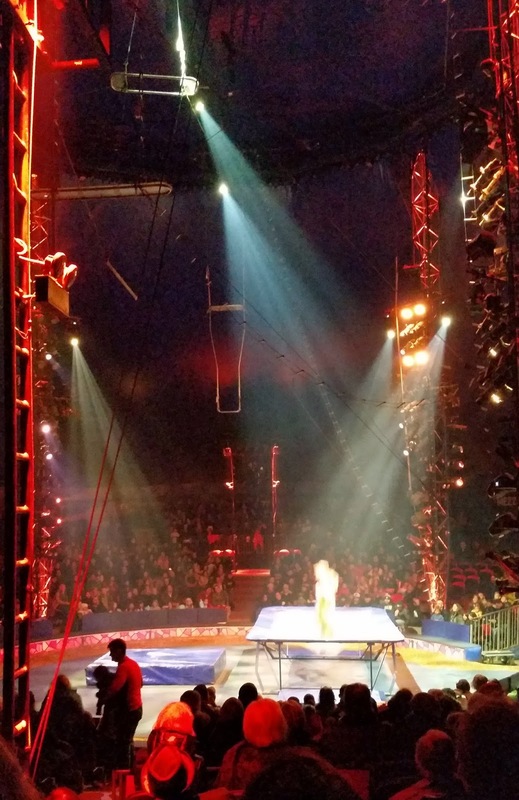 When I asked around the office who wanted to watch the same show, it turned out that many were interested, so off the 11 of us went to the circus :). It was 4 adults and 7 kids in total, or rather all 11 kids watching the show together :). What a cold night at that time! 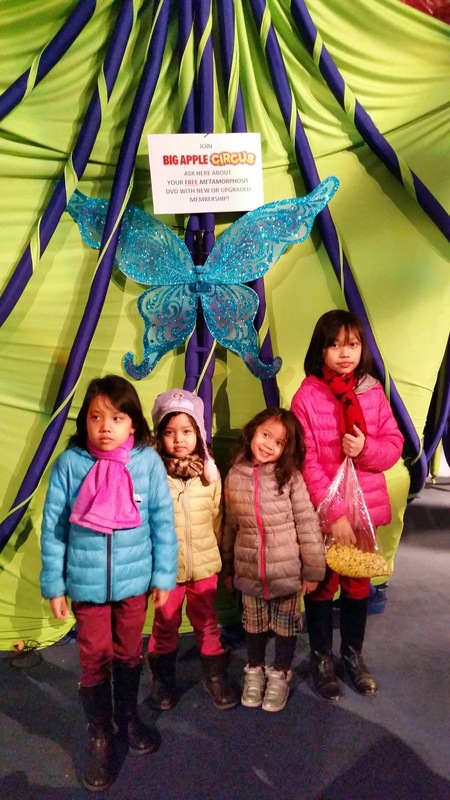 Bundled up with all our jackets, shawl, and gloves, we went to Lincoln Center where the tent was erected. It was a full day indeed. Perhaps because at at that time was the buy 1 get 1 ticket day :). Yuuup...we were enjoying the discount pretty much :). We got in through Door 1 and were escorted to our seats. Kids were so excited already! Bo and Obi were asking questions like where's the clown...would we see the lion..and where's my popcorn :). Just remind me of my old days as a kid :). Then we watched a series of performance, including The 1.5-hour show was packed with lots of interesting performance. 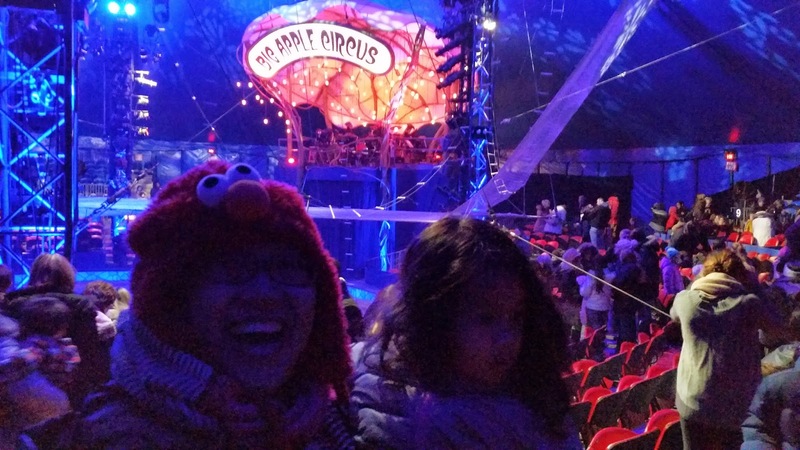 We saw Fransesco the Clown with his musical instruments and we watched two girls contortion in a small cube (such a super flexible body indeed). We also enjoyed the trapeze troupe, Aniskin Troupe, and a jolly down on the farm dogs, ponies, porcupine and more animals. We also amazed by one performance where one lady was quickly changing her beautiful costumes just in a blink of an eye. We also have some classic-yet-still-entertaining magic tricks from the Ring Master. 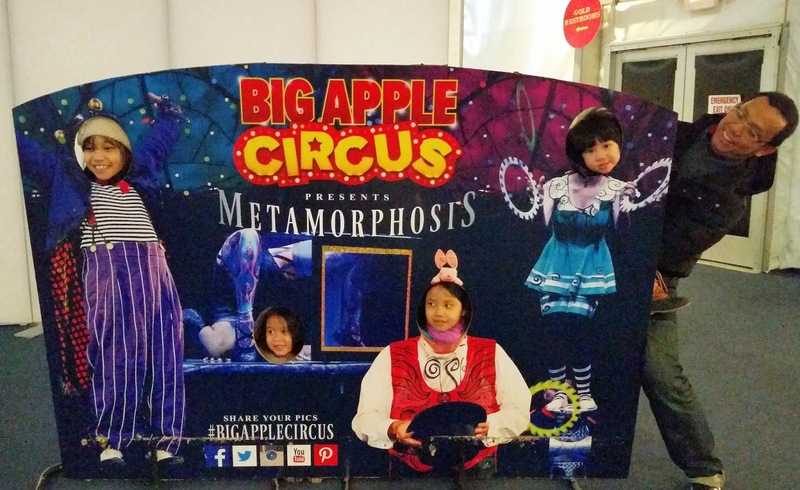 And I love all the merry music performed live by the Big Apple Circus Band! The kids, and the adults, truly enjoyed it. 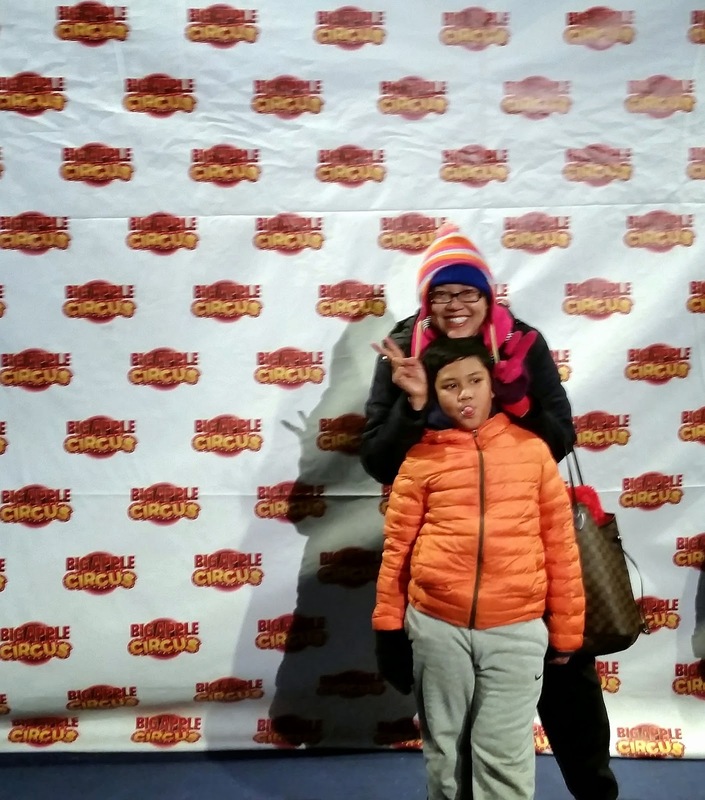 I was hoping we would see some wild animal performances like lions and elephants but we were happy to see the cute dogs, ponies, and even porcupine adorning the show. I was taking several pictures with my smartphone before realizing that we were not supposed to do so. I thought it was only flash photography that was not allowed. We paid USD 25 per person for that performance and I believe if you reserve the ticket earlier, for sure you will get better price :). 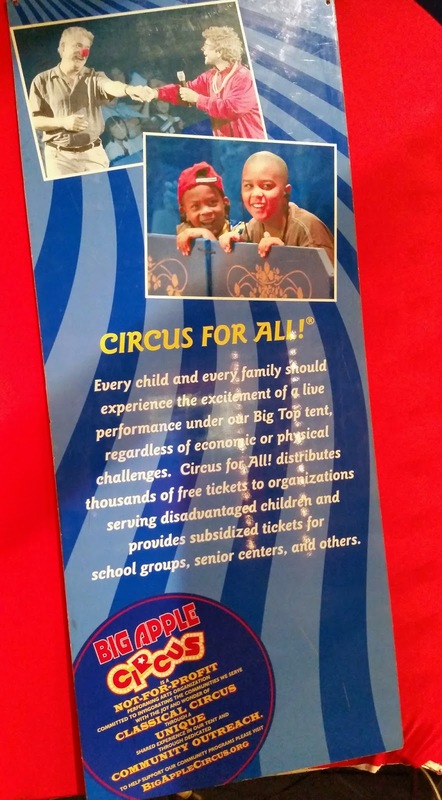 You can also donate and apply for membership starting from USD 40 for more benefits and discount while supporting the circus for all program they have. Go check their website for more details and I guess they will be performing in New Jersey this February and come back to NYC this May. 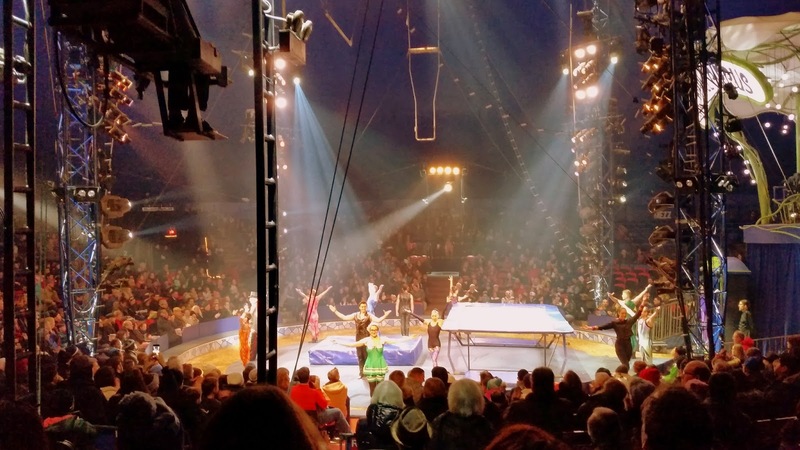 So, have you watched a circus performance before? Do you like it :)? 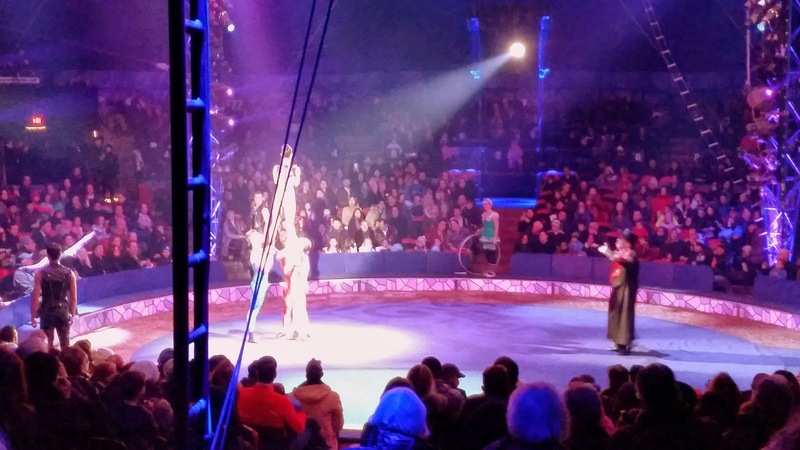 I haven't been to a circus since I was a little girl. I remember we got to ride the elephants and it was so fun! Glad you had a good time! Glad you guys had fun! We saw it in Boston last spring and had a blast, too! I went when I was in college. We (art students) painted faces for kids that were sick. I like the colors, tricks and music in a circus. I just don't like the way the animals are treated. I even have a problem with them being in the zoo, and we have the best one in the US.